China, India, and the Future of Democracy Panel Discussion – Q & A from National Endowment for Democracy on Vimeo. China and India are not only the world’s two largest countries but also have the highest economic growth rates of any members of the G-20. Given their size and rising economic power, they are likely to be key international players in the next decades ahead. But these two countries have very different political models, with China maintaining authoritarian rule and India seeking to deepen its democracy. Panelists discussed the future prospects of these alternative development models and the consequences for the future of democracy around the world. 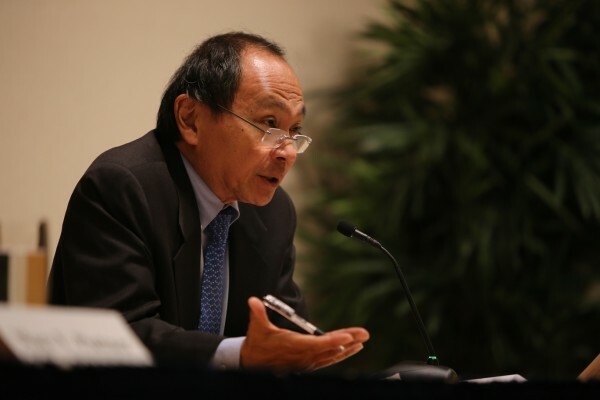 Francis Fukuyama, Bernard Schwartz Professor of International Political Economy at the Johns Hopkins School of Advanced International Studies and a long-time member of NED’s board of directors, will become the Olivier Nomellini Senior Fellow at Stanford University’s Freeman Spogli Institute for International Studies in July 2010. He is the author of The End of History and the Last Man and many other important books. He is currently working on a book on political development. Sumit Ganguly holds the Rabindranath Tagore Chair in Indian Cultures and Civilizations and is a professor of political science at Indiana University in Bloomington. He is the founding editor of both the India Review and Asian Security and the author, editor or co-editor of a dozen books on South Asia. His most recent book is India’s Foreign Policy: Retrospect and Prospect and India since 1980 (forthcoming). Bruce Gilley is assistant professor of political science in the Mark O. Hatfield School of Government at Portland State University. His research centers on democracy, legitimacy, and global politics, and he is a specialist on the comparative politics of China and Asia. His latest book, The Right to Rule: How States Win and Lose Legitimacy, was published by Columbia University Press in 2009. Andrew Nathan is Class of 1919 Professor of Political Science at Columbia University. He served as director of the East Asian Institute at the School of International and Public Affairs from 1991 to 1995. He is the author of numerous books on China, including China’s Transition, published by Columbia University Press in 1997, as well as How East Asians View Democracy (co-edited with Yun-han Chu, Larry Diamond, and Doh Chull Shin in 2008). Larry Diamond (moderator) is coeditor of the Journal of Democracy, senior fellow at the Hoover Institution, and director of Stanford University’s Center on Democracy, Development, and the Rule of Law. His most recent book is The Spirit of Democracy: The Struggle to Build Free Societies Throughout the World. Marc F. Plattner (introduction) is coeditor of the Journal of Democracy, director of the International Forum for Democratic Studies, and vice-president at the National Endowment for Democracy. His most recent book is Democracy Without Borders? Global Challenges to Liberal Democracy.